Vampires and the mockumentary are quite comfortable in each other’s company recent comedy examples are What we Do in the Shadows and the blackly humorous Vampires (2010). Living Among Us is a mockumentary, or at least the raw footage of a documentary coupled with a found footage mentality. Unlike its peers it eschews comedy for a more horror tack. It boasts quite a cast of jobbing actors – especially for the vampires – but it perhaps unravels a little around the central premise, as I’ll explain; not so badly that it falls apart but enough to leave the viewer scratching their chin. 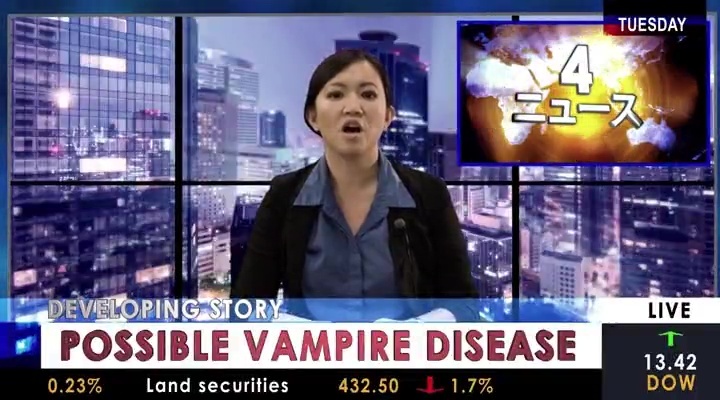 It starts with news reports – vampires have been discovered and they have been living among us for a long time. The condition is explained as a virus that gives a need to drink blood and causes the skin of the infected to blister in sunlight. It is suggested that they do not have an essential active enzyme that the liver normally produces. Their sectional leader, Samuel (William Sadler, From Dusk till Dawn: the Series), becomes the public face of vampirism and a documentary team break that some blood banks have been a front for vampires and they’ve been drinking the donations. In a TV studio Benny (Hunter Gomez, Just the Vampire Hunter) is filming himself and waiting with anticipation for his brother-in-law and studio owner, Aaron (James Russo), to make an announcement. 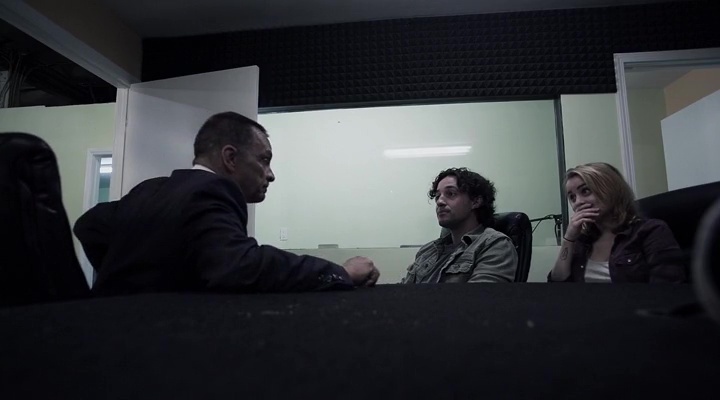 Aaron is talking to documentarian Mike (Thomas Ian Nicholas), who happened to break the blood bank story, and sound engineer Carrie (Jordan Hinson), who happens to be Mike’s ex. They have been given exclusive access to a vampire family. They cannot bring crosses, holy water, rosaries or stakes and it is only to be a three-person crew, rather than the normal seven-person team. Benny is to be their camera operator. On the way to the house we get the idea that Benny is always filming and Mike stops at a church to fill a bottle with holy water. When they get to the house they look at the wrong house at first – a ramshackle abandoned building, until Elleanor (Esmé Bianco) greets them and leads them into their modern home. 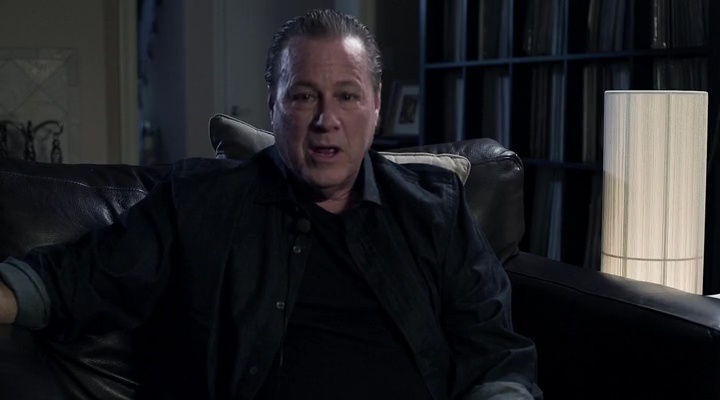 She lives there with Andrew (John Heard), the family’s patriarch, and the rebellious Blake (Andrew Keegan) and the odd Selvin (Chad Todhunter, Buffy the Vampire Slayer & True Blood). Selvin, we discover, spent thirty years trapped in a bunker and barely kept his sanity – nearly becoming a dweller (a rabid vampire). When they talk to Andrew he is keen to tell them that they suffer from a disease and dismisses holy water, crosses etc… This is where we began to unravel a bit as Mike doesn’t bother asking why they were asked to not bring such things. 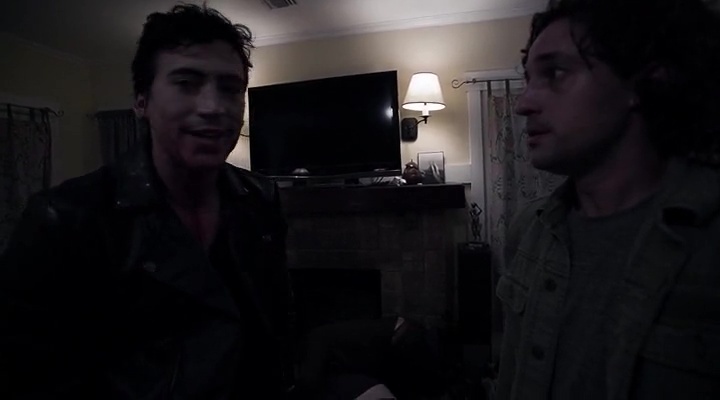 The actions of Blake – who shows them the dark (homicidal) side of vampirism – seem out with the vampires’ goals but the vampires who want to show a sympathetic face actually show the crew a murderous ritual involving a human (they claim a disease-ridden prostitute who infects men purposefully, Blake later says just some random kidnapped women). If this made little sense it was saved by the thought that they purposefully were after the crew. However, the crew reactions weren’t exactly normal. Despite wanting a scoop, you’d think they’d report a murder? When told to not go in the cellar, you’d think they’d sneak down there? When one of them becomes unresponsively poorly you’d think they’d take them out of the situation and find medical attention? But, if you accept the central conceit then the film is very watchable with the vampires, specifically, being played with some gusto. So what about the vampires? Well, they reflect and film but they are affected by holy water and crosses, despite their protestations that this isn’t true. They will die by a stake through the heart (but so will a human, they remind the crew). They don’t simply blister in sunlight as suggested, it will burn them rapidly – though Blake has been building a resistance to indirect sunlight. 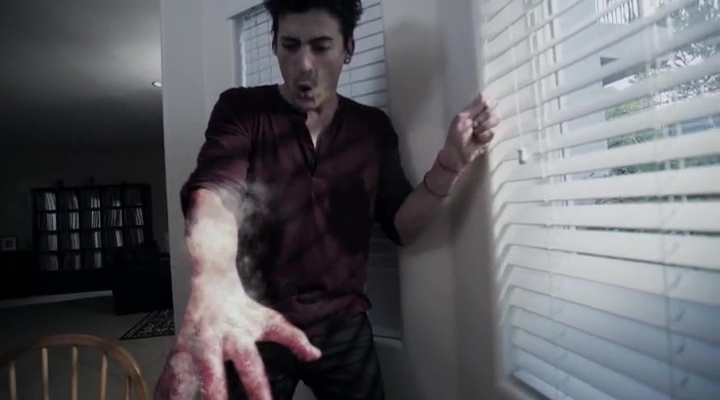 If an Elder vampire dies the others feel a physical pain. They are tremendously strong. Despite suggesting that they are infected with a virus it is clear they are a supernatural creature. All in all, I liked this despite the plot problems. I think it was the vampires themselves that really made this. Blake was a hoot, Elleanor icily aloof, Samuel thoroughly political and the fact that the actors were experienced hands helped a hell of a lot. The crew was perhaps less interesting but they served as a nice foil for the vampires. Not a bad little effort. 6 out of 10.